Editor’s Comments: Today’s Guest Post comes from Gamingbabe who wants to share news about Samsung’s new stand-alone VR headset. I’m excited to see another VR headset coming to market. Although it’s not available in the US yet, it recently released a much improved version of their Samsung Gear VR in South Korea for a price tag equivalent to just $350 which makes it less than half the cost of the HTC Vive or Occulus Rift. It’s also much beefier tech wise compared to Samsung’s current VR headsets – It will be interesting to see how it fits into the picture and how much attention and market share it will receive if and when it releases in the US. Virtual reality is gaining significant momentum, as more headsets using the technology are making the once futuristic idea into a reality. But, so far, most VR headsets are highly dependent on mobile devices. When can we finally see a dedicated virtual reality device that can run its own apps? Samsung might take the lead as the company discussed plans of releasing a standalone, untethered Gear VR headset. Currently, the Korean tech firm is developing the gadget that will incorporate positional tracking (hand and gesture tracking), which most high-end headsets already have such as the HTC Vive and the Oculus Rift. During the developer conference of Samsung in San Francisco, the company’s head of R&D for software and services Injong Rhee said that it might take them a few more years before releasing said headset. Samsung has bundled their recent flagship, Galaxy S7, in with their new updated Gear VR. The handset, based on the product info by O2, comes with a super AMOLED screen, 200GB memory slot, inbuilt cooling system, and Octacore processor – making it the perfect mobile device to use with the VR headset. Initially, rumors predicted that the Gear VR will be compatible with their previous handset, the Galaxy S6, but Samsung was mum as to why this didn’t come to life. 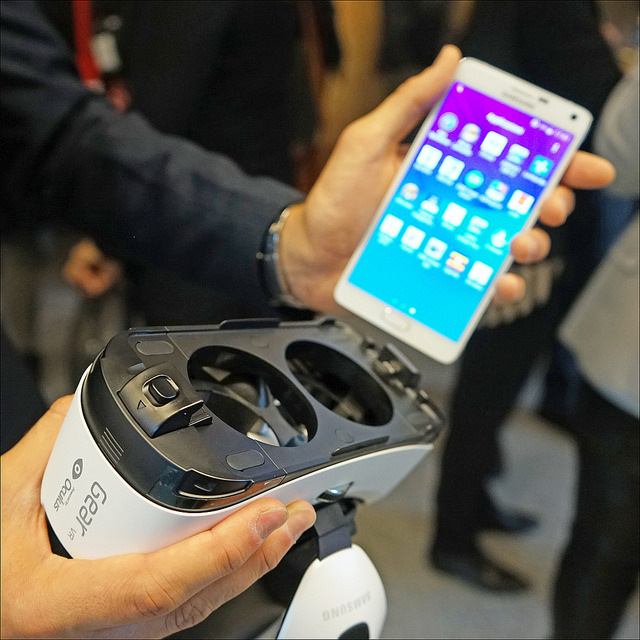 Nevertheless, the a specification page revealed that the handset comes with a world-class processor that is 38 times faster than computers, ensuring that VR games and other HD titles are played smoothly and seamlessly without any freezing time. Although the tech company has started bundling the Gear VR with their new flagship, the headset hasn’t gained as much momentum as they hoped. Though, in November 2015, the wearable was reported to be sold out online. 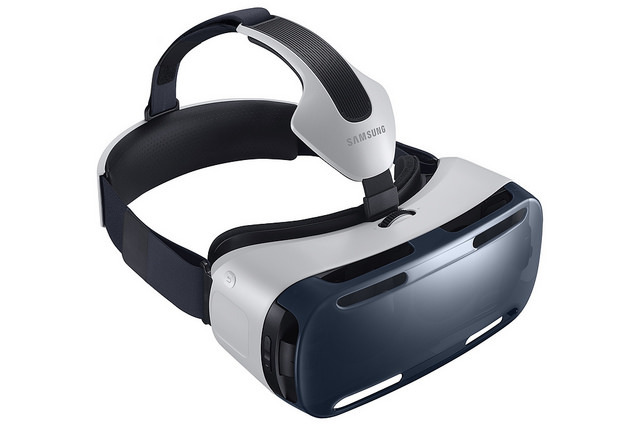 Amazon and Best Buy both showed the message “temporarily out of stock” and “sold out online” respectively on their websites for the Samsung Gear VR. However contrary to reports, sales have been steady for the virtual reality accessory, even with the recent release of the commercial model of Facebook’s Oculus Rift. But with the arrival of Samsung’s standalone headset, they will be competing against Google in this department since the latter has been initially reported to be developing their own dedicated VR device. The search giant has been exploring various ways to provide everyone a chance to have a view of thevirtual reality world, from the most expensive Android-based headset to a cutout cardboard one that can be made at home. However, Google isn’t stopping there as they have expressed their desire to also develop a standalone VR headset, which Samsung will directly compete with. A source close to the company said that the headset will feature a screen, outward-facing cameras, and high-powered processors to run apps and games seamlessly. Google will be working with startup Movidius Inc. to use its camera chips for the motion sensor. The release of the device is still undetermined, yet Google may want to speed up the development since they already have a competitor planning to take the lead in the race for the first standalone VR headset. So far, Samsung has released its new Gear 360 in South Korea with a price tag of $350, but it hasn’t made any further announcements regarding the new VR developments. However, the company said it will not be releasing their Gear 360 in the United States and would focus on other selected countries, particularly China, India, and the UK, where sales of their Galaxy S7 and S7 Edge were outstanding. Will they also avoid the US market once they release their standalone VR headset, even if the country is well known as one of the top markets when it comes to technology?